You can download the solution to the following question for free. For further assistance in Statistics assignments please check our offerings in Statistics assignment solutions. Our subject-matter-experts provide online assignment help to Statistics students from across the world and deliver plagiarism free solution with free Turnitin report with every solution. State the research goal of the project .What relationships do you expect to find ? Why do you expect to find them?What problem are you trying to solve? The dataset for the analysis is extracted from the website https://data.hdx.rwlabs.org/dataset/data-for-ebola-recovery. The data set contains the responses of 1572 participants of the survey. The survey was conducted by Parley, a Liberian NGO from December 6, 2014 to January 7, 2015. For the convenience of analysis, sample of 50 is chosen from the above dataset using the random sampling procedure in Minitab 17 and this sample data set is provided in the appendix. The survey contains many variables but the variables of interest chosen for this topic are the weekly income of the respondents before the Ebola outbreak, the weekly income of the respondents after the Ebola outbreak, age of the respondents and gender of the respondents. Here we are to analyze the impact of age, gender and weekly income before the Ebola outbreak on the weekly income after the Ebola outbreak using regression analysis. The variable which is to be assumed as dependent variable is the weekly income after the Ebola outbreak. The independent variables are age, gender and the weekly income before the Ebola outbreak. Liberia severely faces the impacts of the Ebola outbreak and now it is in the pace of rebuilding. A researcher’s team from the Massachusetts Institute of Technology’s Governance lab is supporting the Government of Liberia to collect the accurate data on social and political outcomes of the crisis. In December 2014, that team conducted survey in Monrovia, Liberia to know about the awareness about the Ebola among the population. They also wish to know about the reach of the Government’s efforts to eradicate the impacts of Ebola. As an initial step of analysis, it is always suggestible to display the data using descriptive statistical analyses which contains both pictorial and numerical representations. The following graphs represent the various aspects of our sample data set. 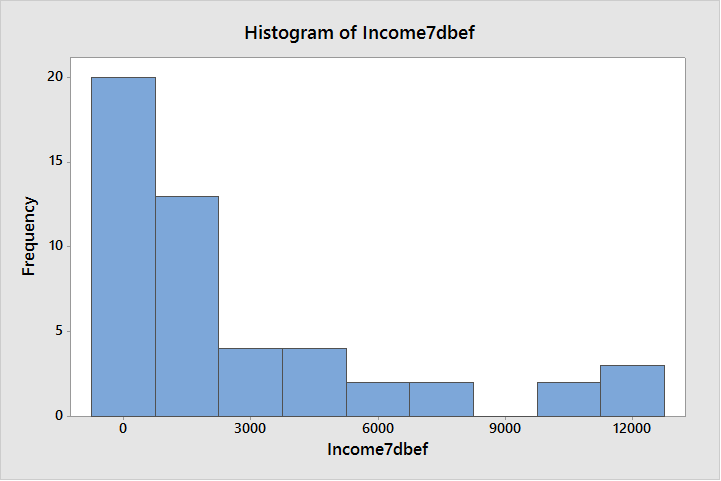 The following histogram exhibits the distribution of the weekly income before the Ebola outbreak of the sample respondents. The distribution of weekly income before the Ebola outbreak is highly positively skewed and lack normality. The data is also not continuous at certain intervals. 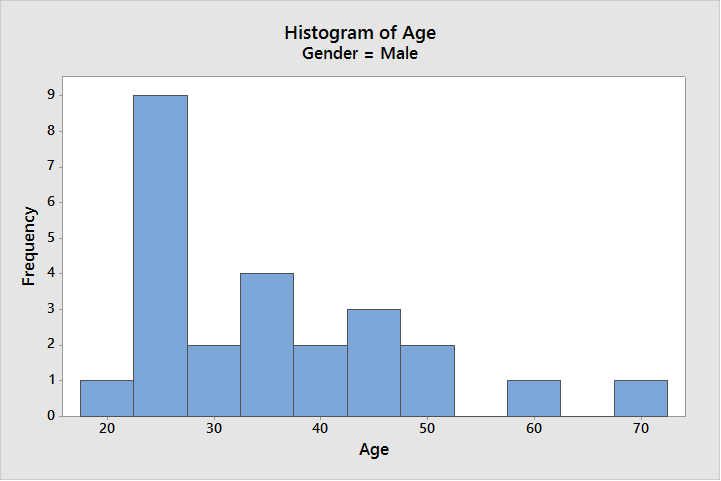 The following histogram exhibits the distribution of the weekly income after the Histogram of age distribution in Male of the sample respondents. The distribution of weekly income after the Ebola outbreak is also highly positively skewed and lack normality. This data is also not continuous at certain intervals. We can see that the range between both income levels significantly differs. The distribution of age of Male respondents is not identical to any of the theoretical distribution as the shape is irregular and displays no pattern. It is negatively skewed and lack normality.